Mason Starling is a champion fencer on the Gosforth Academy team, but she's never had to fight for her life. Not until the night a ferocious, otherworldly storm rips through Manhattan, trapping Mason and her teammates inside the school. Mason is besieged by nightmarish creatures more terrifying than the thunder and lightning as the raging tempest also brings a dangerous stranger into her life: a young man who remembers nothing but his name--the Fennrys Wolf. His arrival tears Mason's world apart, even as she feels an undeniable connection to him. Together, they seek to unravel the secrets of Fenn's identity as strange and supernatural forces gather around them. When they discover Mason's family--with its dark allegiance to ancient Norse gods--is at the heart of the mystery, Fennrys and Mason are suddenly faced with a terrifying future. Set against the gritty, shadowed back-drop of New York City, this first novel in award-winning author Lesley Livingston's epic Starling Saga is an intoxicating blend of sweeping romance and pulse-pounding action. When I started Starling, I wasn't sure to expect. I've read Wondrous Strange by Lesley Livingston, and I thought it was good, but I wasn't interested enough to pick up the rest of the series. 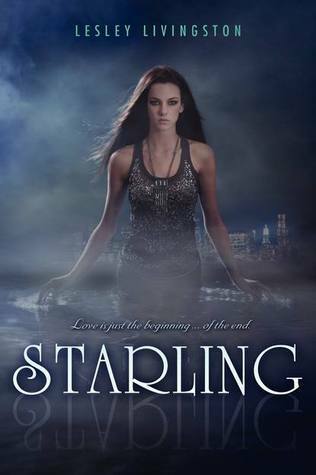 So I was a little wary of reading Starling. But at the same time, I was hoping it would be good, because I am a crazy huge fan of mythology. I ended up really enjoying it! But first, I admit it, I don't know much about Norse mythology except a little that I learned from the movie Thor, lol. I'm definitely more obsessed with Greek mythology, but after reading Starling, I think that Norse mythology is completely fascinating and I wish there were more YA books out there with it! So, onto the characters. I really admired Mason as a main character. It was especially cool that she actually knew how to fight; she took fencing lessons ever since she was little. I loved all the scenes where she was fencing. I also liked that she was smart and logical. She didn't run around making stupid decisions, she thought things through. Fennrys was wonderful too. I loved how his character developed throughout the story. He doesn't remember anything about his life, and the struggles that he went through were all realistic and made me feel for him. The rest of the minor characters were a great addition. Like Heather - I disliked her at first but she totally grew on me throughout the story! And Rory, Mason's brother...wow. He was an...interesting character. Yeah. And he was kind of creepy. The plot, however, didn't pull me in right away. Yes, the book does start with a big battle, and there are lots of other fight scenes throughout the book, but despite the action, I felt like the pacing was rather slow. Might be just me, though. Anyway, the Norse mythology stuff was amazing. That really drew me in. It was so interesting and I loooved learning about Odin and the prophecy and all that cool stuff! Wonderfully done! As for the writing style, it was okay. Livingston tends to write super long paragraphs at times, which annoyed me. Maybe that was why the pacing felt slow. Sometimes there was a lot of description too, which seemed like it just dragged out the story. Yes, it was helpful in describing the setting, but it felt like a little much. But aside from that, her writing was sharp and well-done. I especially loved the dialogue, it was witty and had me chuckling at certain parts! 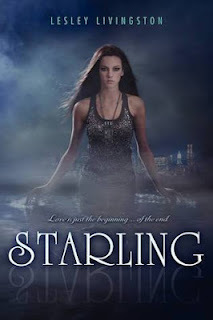 I think Starling is a great, highly enjoyable read for anyone who loves mythology. I loved being able to look into the world of Norse mythology and I cannot wait for the next installment in this series! Divergent Movie to Release March 21, 2014!